No tired old re-cycled air, common to many modern offices, no dusty files or noisy machines, just the heavenly scents of Nature’s finest plants. 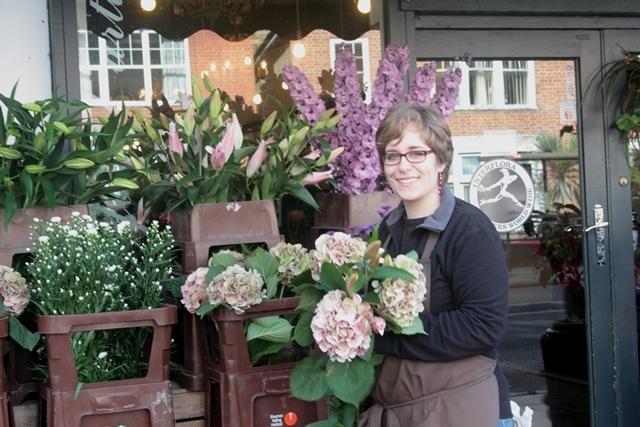 This is what hits you when you open the door and walk into Ginger & Spice, one of East Sheen’s oldest florists. The massed ranks of beautiful flowers on display are truly impressive. And, whilst many are seasonal, as in the wild, popular favourites like roses, lilies, chrysanthemums, and tulips are produced all year round so there is never a shortage. “These days you can get almost anything you want all year long,” confirmed Manuela Haendeler, one of the shop’s staff. 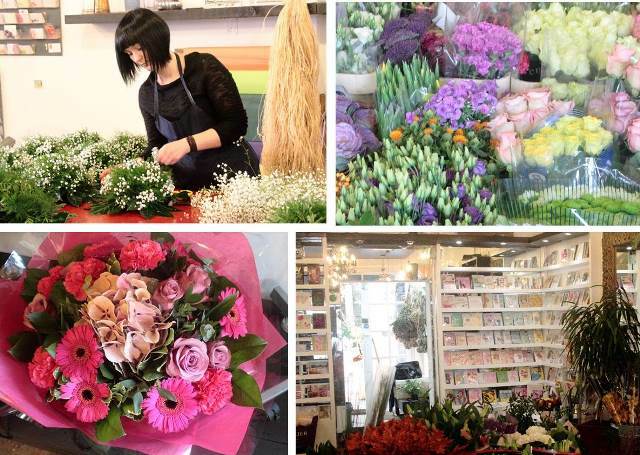 She loves her job, just like the other girls hard at work creating displays for weddings, funerals, special occasions, and beautiful bouquets, the shop’s basic stock-in-trade. A perfect choice and no surprise this shop has been a great success for so long. Tulips are probably the most popular flower because they come in so many different colours – including black – and are reasonable in price. But roses and lilies follow close behind in the public’s affection. Apart from Valentine’s Day, when red roses are what men buy to give to their wives or girlfriends, roses remain in demand year round. Many are flown in all the way from Ecquador and some growers are now producing blue roses and multi-coloured rainbow roses. But the staff still fondly remember one incredible Valentine’s Day order a few years ago of a bouquet of 100 red roses which cost the customer £500. They also created a stunning £200 bouquet to celebrate the birth of a baby to a lucky local mum ordered by her husband’s firm. The shop has a big display of orchids which are also very popular to give as presents, ranging from £15 a stem to a £35 pot orchid. “They will last a long time as long as you don’t over water them, or touch them. Orchids don’t like to be touched,” added Manuela. Undeterred by the tough economic climate, her boss is full of plans for the future. 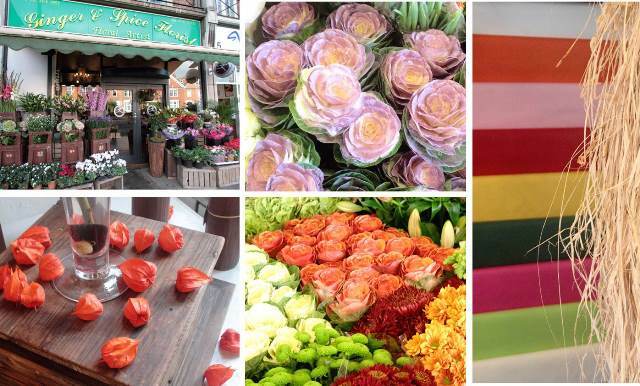 Ginger & Spice will shortly be opening a website so customers can order online, and Mr Ishaq intends to set up a wholesale shop in Roehampton where local florists who run out of certain flowers can swiftly obtain fresh supplies.